The body of Brazil football legend Garrincha has disappeared from the cemetery where it was buried, his family have said. Garrincha, who was nicknamed ‘the Joy of the People’, won the World Cup in 1958 and 1962 alongside the likes of Pele and Mario Zagallo. He died in 1983 after a long battle with alcoholism and was buried in his home town cemetery in Mage, around 40 miles from Rio de Janeiro. But an official there told Rio’s Extra newspaper his remains had been exhumed and there was no record of what happened to them. The official said: “From our research, we’re not sure he’s still buried. Brazilian cemeteries are usually split into two sections, those with tombs where bodies are buried and walls with drawer-like concrete niches where ashes or bones are stored. 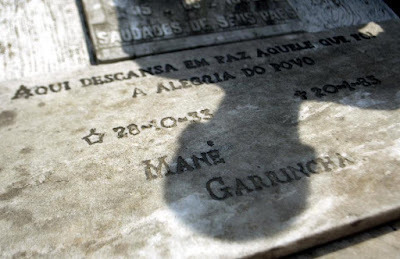 The Raiz da Serra cemetery in Mage has two tombs with Garrincha’s name on them, the paper said. One is a plot where Garrincha was originally laid in 1983 alongside other members of his family. The second is marked with an obelisk and was built in 1985. 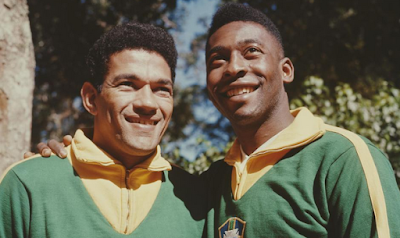 Rosangela Santos, one of Garrincha's daughters, said: "We don't know for sure where he is. "The mayor has promised him a mausoleum but they need to find him first. It's very upsetting not knowing where he is." » Mikel Obi Pays $4,000 To Save Olympic Football Team From Embarrassment At Brazil Hotel.